Building an Innovation Legacy: One Startup at a time! Azerbaijan is now part of the world’s largest Green Business Idea Competition, ClimateLaunchpad. ClimateLaunchpad helps entrepreneurs to create, develop and promote their clean technology ideas to create the best possible future for our planet. Who can enter the Climate Launchpad Competition? Your green idea can be almost anything that uses existing technology to do more with fewer resources, has a commercial driver and potential to tackle climate change. It can be an innovation in renewable energy, a sustainable transition in the food chain, a mind shift in urban mobility or any other way to tackle climate change. As long as it’s in the cleantech domain. Even if your idea is still on the back of a napkin, you’re most welcome to apply. Not sure if your idea fits the bill? 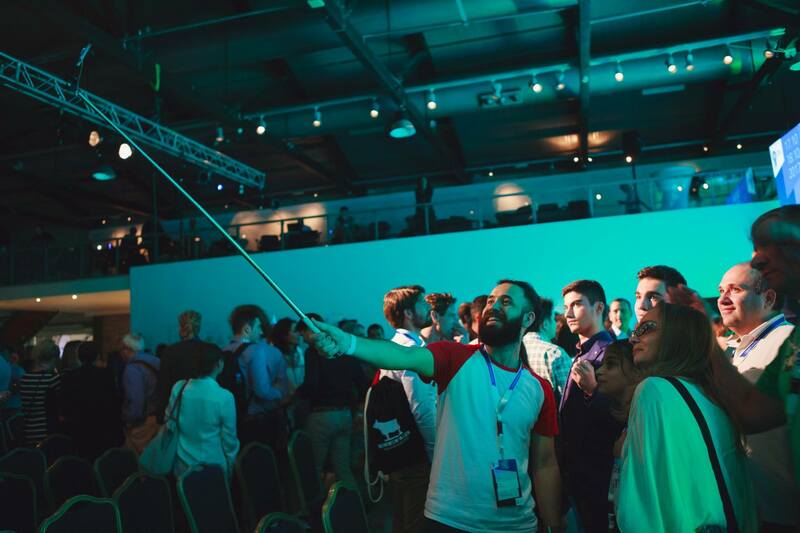 Check out past finalists of ClimateLaunchpad here and more examples of cleantech startups here. Because it is your dream to get your cleantech idea funded and launched worldwide. Enter ClimateLaunchpad if you want to know how to navigate the cleantech field, want hands-on business advice while developing your business plan and become a pro in presenting your proposition to investors and prospective customers. This and more you will learn during the ClimateLaunchpad trajectory.Battle for your idea during the National and Grand Final. Winners of the Grand Final get accepted into the Climate-KIC business Accelerator: a huge step in making your dream come true. What kind of ideas this competition is looking for? If you have an idea, or are an early stage startup with a climate impact proposal, we encourage you to apply. This green idea can be about an all out mind shift in urban mobility, a sustainable transition in the food chain or any other way to tackle climate change. It does not need to be high tech, but it does need to have a positive impact on climate and environment. Where do I submit my idea? Do I need to submit a business plan? Apply by filling out the application form here until 31st March, 2018. No need for a business plan just yet. We will help you strengthen your plan or teach you how to create one. What happens after submitting my idea? ClimateLaunchpad kicks off with a 2 – days Boot Camp. You will learn all you need to know about jump-starting your business from international experts. The Boot Camp is followed-up by 6 Coaching Sessions. You will learn to perfect your pitch, build perfect value proposition and business model. After the National Coaching sessions, you will be ready for the National Final where you get to pitch in front of a Jury consisting of international and local members and win prizes and a fully sponsored spot to the Grand Final in Europe on November, 2018. The Top-3 ideas from each countries will enter the Grand Final. In this ultimate final you’ll pitch your idea in front of the EU’s leading investors and entrepreneurs. Impress them and gain access to Climate-KIC Accelerator, the 18-month real life business school where great ideas grow into great businesses. The European Top-10, selected in the Grande Finale, will get direct access into Climate-KIC Accelerator without having to pitch to a review board. – The third place wins € 2,500. All prize winners are responsible for any taxes, wire transfer costs and other possible costs relating to the prize money. Think you can tackle climate change? Submitting your idea is free and very easy. Apply before 31st March, 2018.